The following excursions are available from April to October. No holiday here in Sorrento would be complete without a trip to the evocative island of Capri. Sail across the bay of Naples for the start of an unforgettable day. For so small an island – about 4 miles long and 2 miles wide, Capri has had much said, sung and written about it. 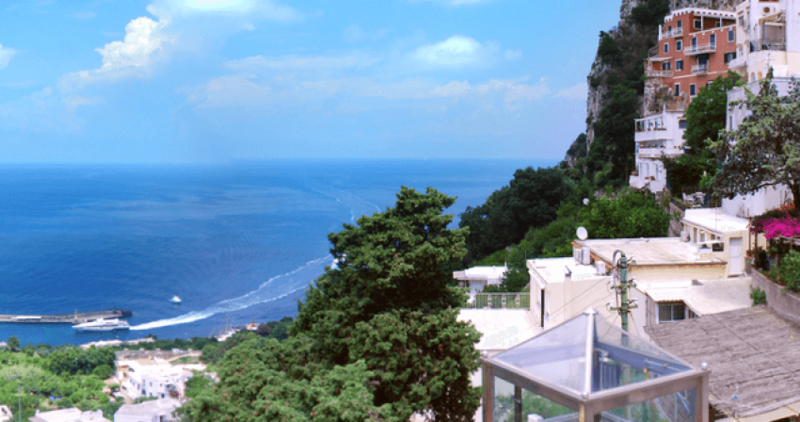 First you will visit the fabulous villa of Dr. Alex Munthe, a Swedish doctor whose bestselling book, “Story of San Michele” tells of his time on Capri. His villa, which was built with the remains of Roman ruins, has a beautiful shady garden with terraces affording splendid views of the island. 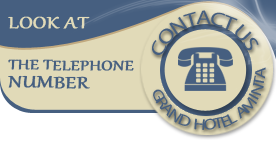 This is optional, and the entrance fee should be paid to the guide directly. You then go down to Capri town which is very chic with shops, hotels and restaurants along winding streets. The main square, Piazza Umberto, I has a pretty white church and several open-air cafes where you can sit and watch the world drift by. Leading off the square are medieval alleyways full of shops selling the handicrafts of the island, clothing, jewellery made from coral and gold, shoes and ceramics. Admire the colourful gardens of Augustus overlooking the famed Faraglioni Rocks and Marina Piccola where Gracie Fields once lived. There is free time for you to go off and admire the elegant boutiques, stroll along the cobbled streets or simply relax on the beach. There is so much to see and do on this tiny island paradise that you will be sorry to leave. This is a very lazy, relaxing day for vacationers who just want to take it easy – a delightful day spent cruising the Bay of Naples and Salerno on the comfortable yacht Marine Club. There is plenty of room for sunbathing with changing facilities and showers. The ship’s crew serves a full lunch or snacks and salads for purchase, or you can bring you own picnic lunch. Several stops will be made for swimming including the Galli Isles and the Faraglioni Rocks at Capri. When the boat reaches Positano you will be offered the chance to go ashore. This is an optional extra to the cruise, and you will be asked to pay a small fee direct to the crew. The Marine Club steams on to Amalfi and will pick you up again from Positano on its way back to Sorrento. Those who do not wish to visit Positano can stay on board, cruise down the rest of the coast to Amalfi and go ashore there for sightseeing at no extra cost. On the return journey there will be more stops for swimming. This cruise is the perfect way to top up your tan! Remember: take your swimming costumes and towels and don’t forget your camera! 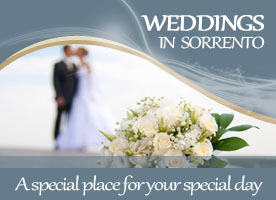 Early Booking, advance booking offer, is one of the best offers if you plan your holiday in Sorrento. 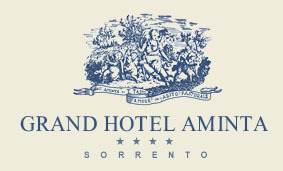 If you are looking for a Hotel in Sorrento, with free parking, free Wi-Fi, swimming pool and terrace view over the Gulf of Naples then choose the Grand Hotel Aminta, the perfect location for your holiday.